Over the past ten years, cities and counties throughout the State lost considerable funding for affordable housing. First through the dissolution of redevelopment agencies – which resulted in the loss of $60 million annually in Santa Clara County alone – and then with severe reductions in federal funding and the depletion of State Proposition 1C bond funds. It is clear that the only way to address our affordable housing needs is through local action. SV@Home was excited to be part of a great partnership, which, along with many tireless volunteers, helped push Measure A over the goal line. With County of Santa Clara Champions Board President Dave Cortese and Supervisor Cindy Chavez, the coalition included Working Partnerships USA, the South Bay Labor Council, Destination: Home, the Valley Medical Foundation, and the Non Profit Housing Association of Northern California. Measure A brings a considerable new funding source to the South Bay, but we know that more funding is still needed. In response, SV@Home will continue its efforts to advocate for more actions that generate revenue for affordable housing. In December 2018, the Santa Clara County Board of Supervisors voted unanimously in favor of allocating $123,150,000 in funding commitments from the 2016 Measure A Affordable Housing Bond to support nine housing developments. This is the third cycle of projects approved under the 2016 bond measure, totaling $2,34,180,000 for 1,437 new homes in the first few rounds. These most recent developments include new construction of six and rehabilitation of three existing apartment buildings. Together, the proposed developments would provide 687 additional apartment homes for Santa Clara County residents who need them most. Housing Bond funding for these developments keeps the County on track to meet the goals of the Community Plan to End Homelessness by creating 457 new homes with supportive services. Significantly, proposed developments also will help our community prevent homelessness by building 230 new homes affordable for working families with very low (VLI) and extremely low incomes (ELI). 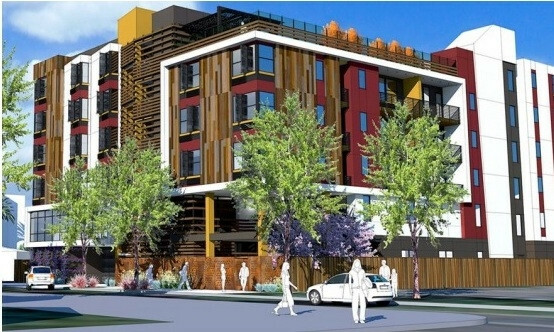 Including the previous funding commitments- for 489 apartments with supportive services and 240 homes affordable for VLI and ELI households- and the homes approved on December 18th, Housing Bond implementation is ahead of schedule, having approved 1,437 homes, 30 percent of the 4,800 unit goal, after only two years into the 10-year timeline. This success is due to the ongoing commitment of the Board of Supervisors, the hard work of effective partnerships with local developers, local governments, homeless advocacy organizations, and service providers, working together to leverage Housing Bond funds to end homelessness and address our affordable housing crisis. On November 8, 2016, 67.88% of Santa Clara County voters approved a landmark funding measure for affordable housing, making $950 million available for the construction or rehabilitation of housing for vulnerable populations. In 2017, the Santa Clara County Board of Supervisors approved funding for the first six developments, each of which includes supportive housing units dedicated to households exiting homelessness. To date, 19 developments have been approved in six cities throughout Santa Clara County. In addition, the Housing Trust has established a first time home buyer program with funding provided by Measure A. How Does Measure A Work? Measure A allows the County to borrow up to $950 million by issuing general obligation bonds. The County will use this money to acquire or improve real property to provide affordable housing for populations that face challenges securing stable housing they can afford. Measure A is a critical effort to respond to the County’s homeless crisis by prioritizing households who are currently or recently housed as well as preventing those at great risk of slipping into homelessness. People eligible for this include, current and former foster youth, victims of abuse, homeless people, and people with mental illness or substance abuse-related illnesses. A portion of the Measure A funds target households with incoming up to 80% of area median income, and there is a set aside for responding to the rent burdens and huge ownership challenges of moderate income people in the County. While the focus of the Bond is necessarily on housing acquired or improved to be sold or rented at below-market rates, there is intention to provide housing in connection with supportive mental health and substance abuse services funded by other County programs. Learn more about how Measure A works. View a list of the first set of Measure A development projects.